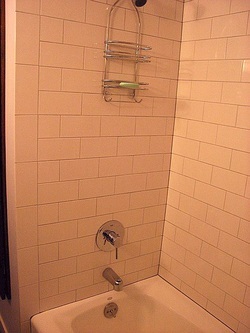 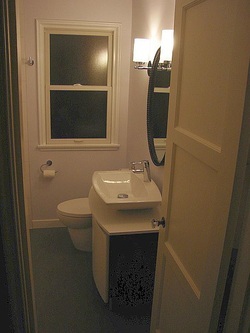 This small bathroom is typical of many post WWII homes in the area. 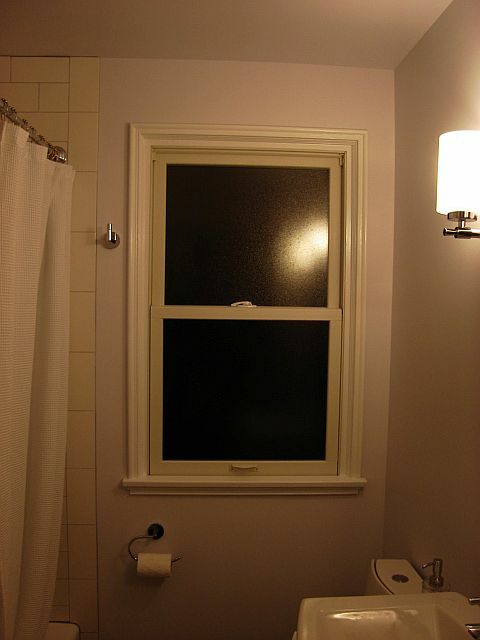 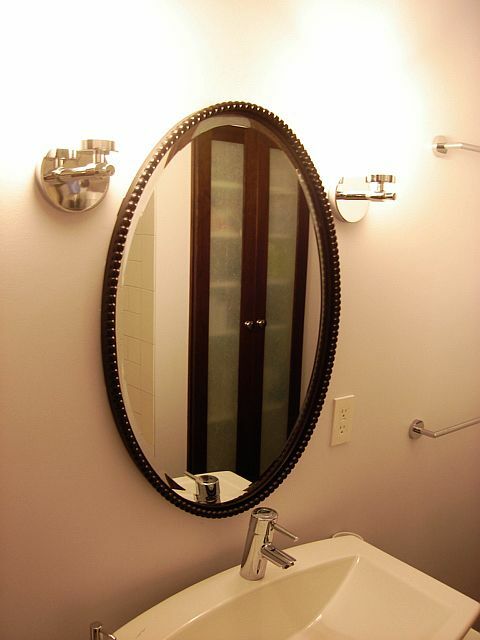 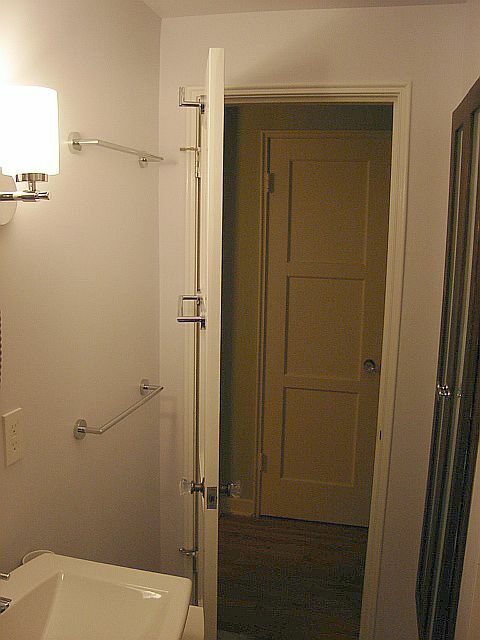 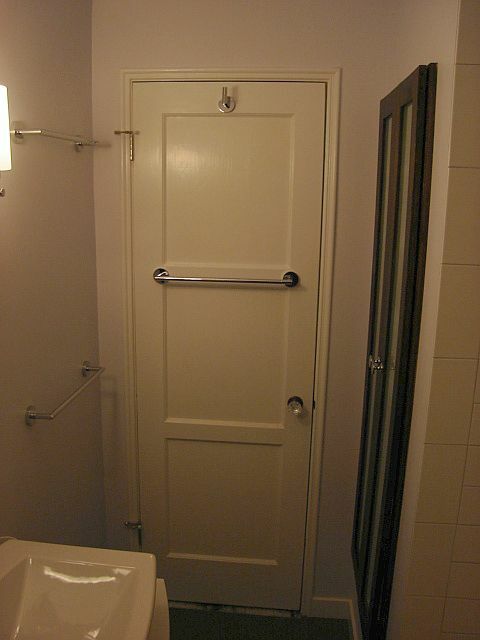 The owners of this 1947 West Seattle residence had remodeled this bathroom right after purchasing their home 10 or 12 years ago out of necessity. 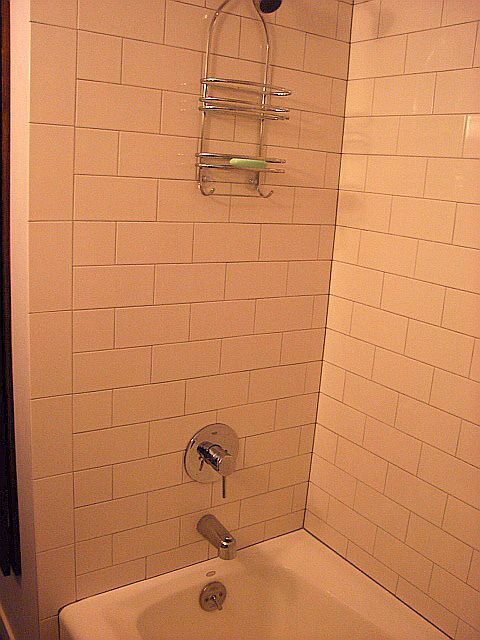 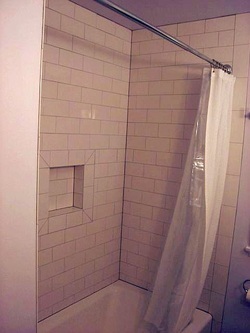 They were never completely satisfied with the results, however; so when a failing shower valve necessitated calling in a plumber they decided to give the whole room a once over. 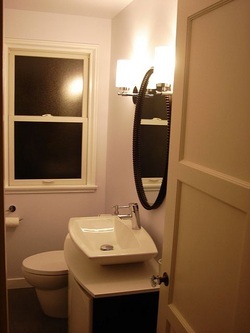 A lot of changes small and large combine to make this small bathroom more inviting and much more functional. Right down to changing the swing of the door to pick up precious inches and allow unfettered access to the new built in cabinet with adjustable shelving. 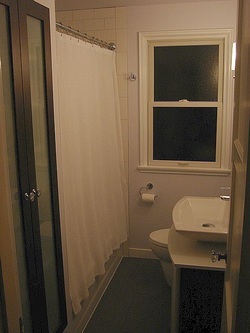 Functional improvements include a pressure balanced shower valve, dual flush toilet, increased storage space and a convenient niche in the tub surround. Visually, the space is much less cluttered, with clean lines, and soft, subtle colors. The seamless Marmoleum floor is softer, more inviting and much easier to keep clean than the tiles it replaced.